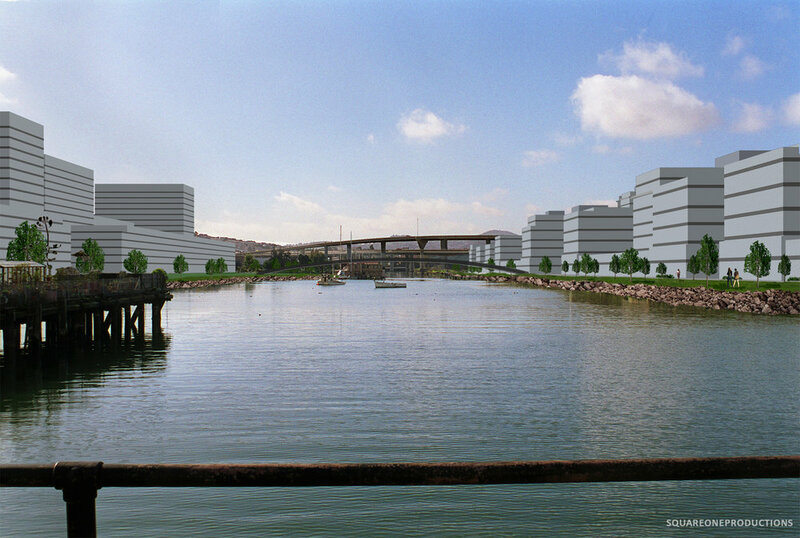 The Mission Bay master plan, with 1998 computer graphics technology! This was plan was developed as a public/private cooperative effort by the San Francisco Redevelopment Agency and the Catellus Development Corp. The goal was to provide significant housing, including affordable housing, and a new UCSF campus that would attract other biotech. The Master Plan, updated in 2004, to included 2.65 million sq. ft. of UCSF research spaces, 41 acres of public open space, and 6,404 residences, including 1,806 units of affordable housing. For more Mission Bay fun, see UCSF’s timeline here. 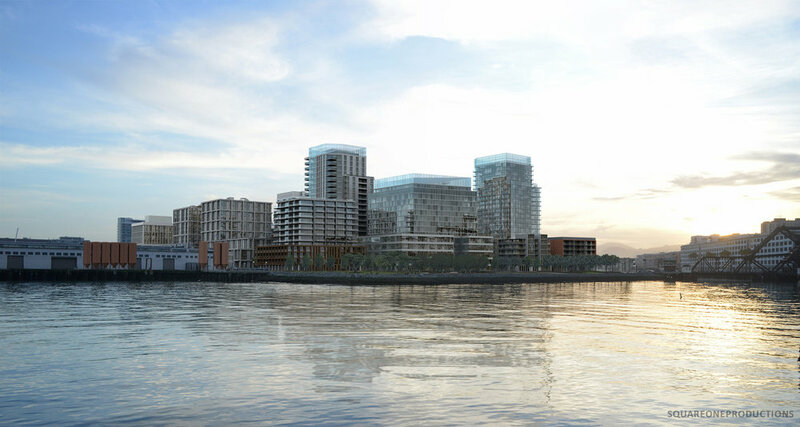 No discussion of Mission Bay’s transformation would be complete without mentioning San Francisco Giants Stadium. 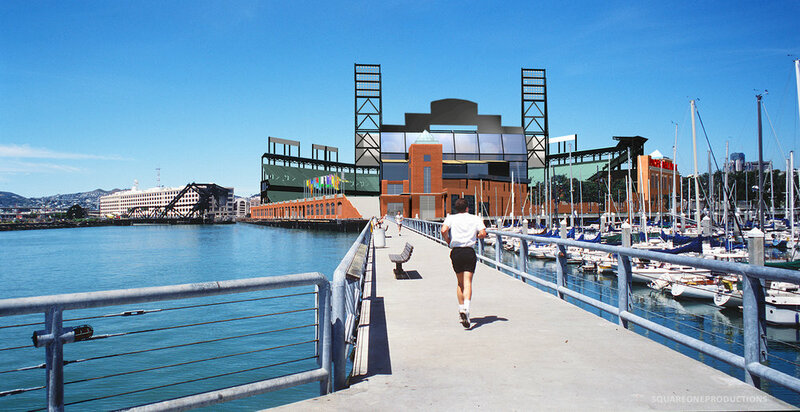 UCSF’s campus had just broken ground when the San Francisco Giants moved into AT&T Park in 2000. 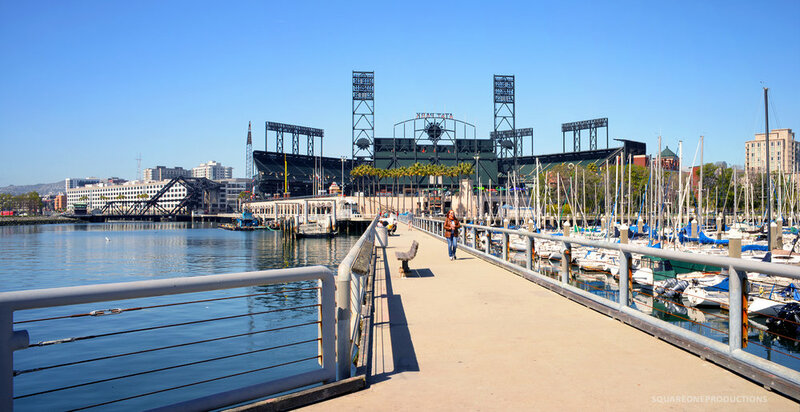 Giants Stadium provided an iconographic landmark that anchored a newly created neighborhood. Our simulation, showing the ballpark as approved by City Planning. The design underwent revisions before it was constructed. 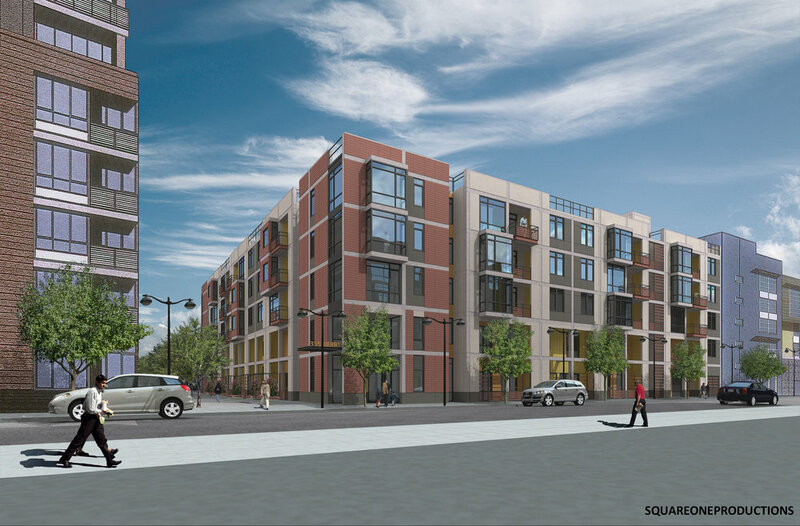 In February, the Board of Supervisors approved Mission Rock, after unanimous recommendation from the SF City Planning Commission. The mixed-use project will bring up to 1,500 housing units and 8 acres of parks to a site that currently holds the AT&T parking. 40 percent of the housing will be affordable or below-market rate. We worked with ICF on the approval process and are very proud of our role in this project.